Juraj Vaculik is the CEO of Aeromobil, an advanced technology company that Vaculik co-founded with Stefan Klein in 2010 in Bratislava, Slovakia. 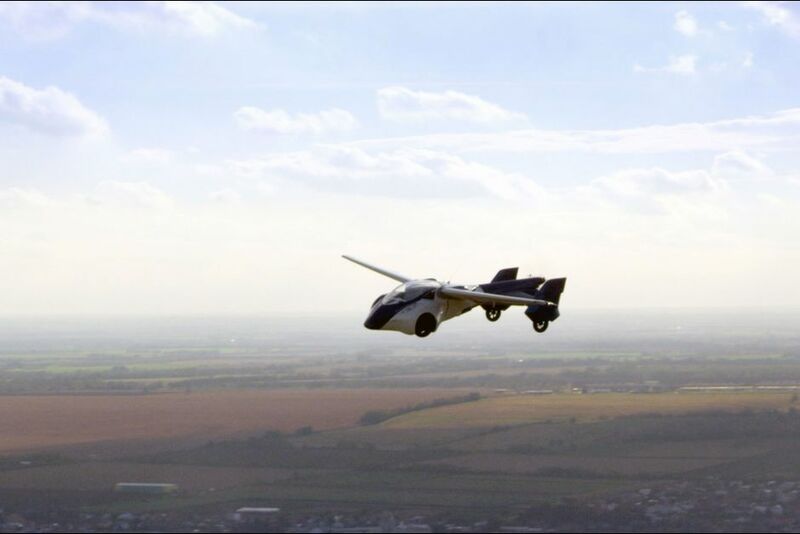 Oh, and did we mention that the company makes flying cars? Because it does. 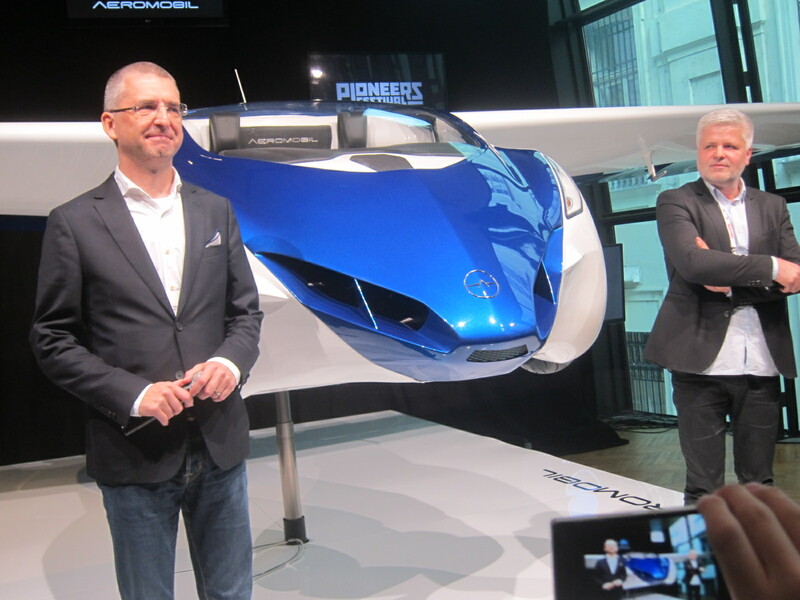 In this interview, Frederic Eger sits down with Vaculik to discuss the future of flying cars and where Aeromobil is headed next. Note: Interview has been slightly edited for clarity and brevity. Frederic Eger: So to begin, what made you go from being a creative director for global advertising agencies to become an advanced car maker? How does one become a car maker? What is unique about about being a car maker that’s unlike any other business? I am very interested in technology innovation, and at the same time, I enjoy leading very diverse teams of people – whether it is in advertising or any other industry. When you look at the latest technology advancements these days, personal transportation is a great category that strives for innovation. It drives me a lot, and it seems that my whole career led to this point, and all businesses I founded were the preparation for what had to come. In 2010, I met my former schoolmate Stefan Klein, a designer who was developing AeroMobil for 20 years and was looking for an investment. The project was something strange at the first sight, but I immediately saw its potential. I decided right away. He did not convince me; I convinced myself that AeroMobil idea could be revolutionary and disruptive, not just some curiosity. When we joined forces, we moved the project to the next stage. My role was to guide the business strategically and build it from the scratch. For this project, I withdrew from day-to-day management of my other companies, I left them to management. So what’s unique about being in this business is the fact it is so dynamic and complex at the same time. Moreover, so much is happening at the moment – from self-driving connected vehicles to next generation airspace and drones. It’s enough to look at how CES (Consumer Electronics Expo) transformed during the last few years. Automotive manufacturers introduce their new technology advancements there, at the electronics exposition. Exciting. FE: Can you summarize the story of Aeromobil for us, from Research and Development to prototype since 2010? From 2010 to 2013 AeroMobil operated in a stealth mode and we were mainly focused to developing a new concept of AeroMobil 2.5, which represents a significant step towards a building a real advanced engineering company. The very first flight of the AeroMobil 2.5 took place in June 2013. When we afterward introduced the pre-prototype of AeroMobil 2.5 at the conference SAE AeroTech in Montreal in September 2013, we’ve gathered a lot of positive feedback from the experts, which appreciated the design and the technical solution of the process of transformation. It was critical feedback for us that this concept is feasible, and the existence of this kind of transport vehicle is legitimate. In 2014, we accelerated our development towards the prototype of AeroMobil 3.0, which was engineered by the team of only 12 people in 10 months and later premiered at Pioneers Festival in October in Vienna. With AeroMobil 3.0 we introduced redesigned exterior with full carbon composite body, fully functional interior with advanced avionics and patented steering controls, upgraded transformation procedure that lasts only two minutes and lightweight landing gear. It has completed the program of flight tests with more than 50 take-offs, landings, and full circles around the airport. The year of 2015 marks the introduction of the prototype 3.0 at the prestigious international forums and successful entry of our first external investor, European venture capital fund, and expansion of the team. Currently, AeroMobil readily steps into the next phase of its development. In 2016, we move to the full industrialization of the project. FE: What is unique about AeroMobil when comparing them to Paul Moller’s flycar or the two other main “competitors”, Terrafugia and Pal-V? We respect all other teams who are working on a vision of flying car, they all do an excellent job in advancing the engineering and making this [flying car] industry category real. It is good that we have all these teams around the world working on an integrated vehicle. As a group, we can better influence the legislation to start incorporating rules for the future vehicle category. As CNN stated recently, the race for the first flying car on the market started. Together with our team, I think we have a good plan in place to deliver the vehicle to the market soon. The main difference to our competitor vehicles is in the methodology of transformation itself and its functionality. The conceptual features of the AeroMobil are substantially different from the other flying car concepts. Our concept and vision in the maximum measures unifies the characteristics of a regular car and small airplane without a handicap – speed, dynamics and consumption. We want to make AeroMobil also beautiful, so its design will make it also an object of desire. FE: When did the idea first come about, and when did you release the first prototype? My Co-founder and Chief Product Architect of AeroMobil, Stefan Klein, selected the idea of flying car for his final thesis at the Academy of Fine Arts and Design, where he heads the respected Transport Design department today. He then started to build it in his garage, at home. It is his private space – kind of atelier – where he plays with ideas. During the first few years, he developed most of the components himself or with the help of his family. 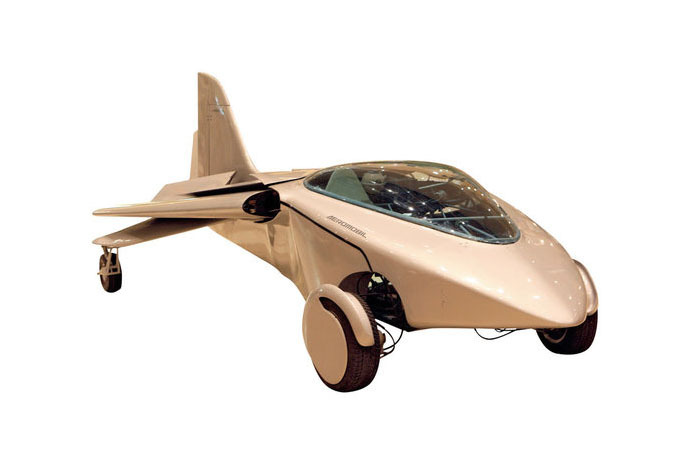 From 1990 to 2010 there were two concepts of AeroMobil. They were produced to verify the hypothesis of a flying car. The first prototype, AeroMobil 1.0 was a non-transformable vehicle able to drive on the road and also in the air. Although it fulfilled the basic requirements for this kind of multi-modal vehicle, it looked quite bizarre, and it would have limitations in the regular use. That was an impulse to improve the concept of the flying car in a way that it could become an integral part of the normal road traffic too. It resulted in designing of AeroMobil 2.0. When we established a company in 2010, we started to professionalize the development. The AeroMobil 2.5 and the latest prototype of AeroMobil 3.0 was already developed with the semi-professional team. FE: Any doubts during the funding process? From its establishment, I funded whole company – all the development, engineering, prototype manufacturing, intellectual property protection, and communication. From the beginning, this was very different investment compared to others that I funded in the software industry and entertainment. AeroMobil was the one I was very excited about from the start because this innovative vehicle could become an inspiration and a new stage in the future of personal transportation. In 2015, AeroMobil secured first external investment from European venture capital fund LRJ Capital and a three-year government grant from Slovak government. In 2016, we open next investment round. FE: Can you say anything about the schedule for mass market release? We set the year 2017 for commercializing the project, but we do not need to be the first flying car on the market, we want to be successful in the long term. For this, we must have quality, fully functional and safe product. It does not mean that we are not time aware. In 2015, we have received from the Popular Science Magazine Invention of the Year Award, and Wired called us the most advanced flying car last year. For us, this means an enormous commitment. We have a chance to catch up first; our plan is very bold. When we showed it to experts from industry, they said that it is crazy ambitious but doable. The first AeroMobil will be a very specific niche product aimed at the supercars buyers. This market is growing, it is highly profitable, adopting innovative new technologies faster than any other. It will be followed later with the vehicle for larger public and possibly also ride-sharing companies. I like to use the analogy of a mobile phone. In the 80s, it was a niche market. I claimed then – what do I need a cell phone for – the home phone was enough. We had the functionality, but later everybody moved to the cell phone. Our product strategy is similar. FE: Any affiliate programs and sponsors, or perhaps partnerships projects? For example, would a franchise like James Bond be interested in Aeromobil? There is much interest on AeroMobil around the world. We cooperate with some of the best partners in the automotive and aviation industries. They help us accelerate our complex development. Regarding partnerships, we will be considering when we successfully launch our product to the market. The most important to remember is the versatility of our product is also its new quality. AeroMobil can become an inspiration and a new stage in the future of personal transportation. It can bring new opportunities for travel and extend them to a whole new level, thanks to the vision that the AeroMobil delivers without compromise. Due to the unique technical solutions and design, I hope, it will bring back a very positive experience to traveling.